I have some lovely skins that came back from tannery in September of 2018. 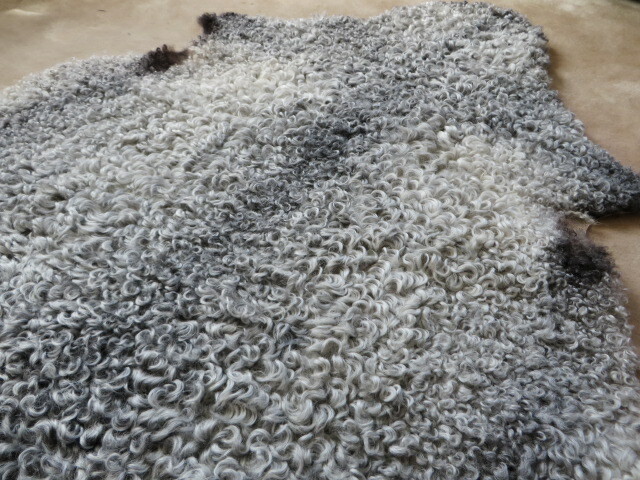 There is a mix of wool length and greys from very light to almost black. These photos give you an idea of what my sheepskins are like. They sell out very quickly. I prefer to sell directly to people who can see and feel them but feel free to get in touch even if you can’t get down here as I might be able to arrange for you to see them somewhere else or I will send out on sale or return. The prices will be around £150. If you’re interested, please do get in touch. 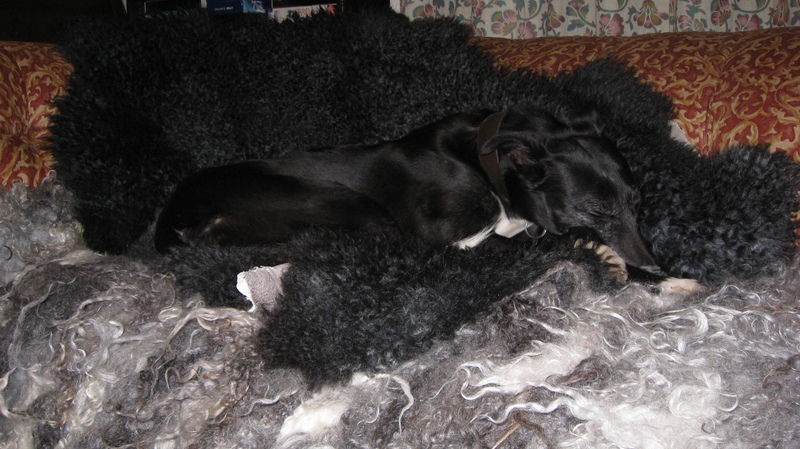 Spot the lucky Lurcher on one of my daughters sheepskins! He knows we know he’s there!